The amount $13.82 reflects the "per shipment" price. Your card on file will be charged this amount (plus shipping fees) at the time of each shipment. 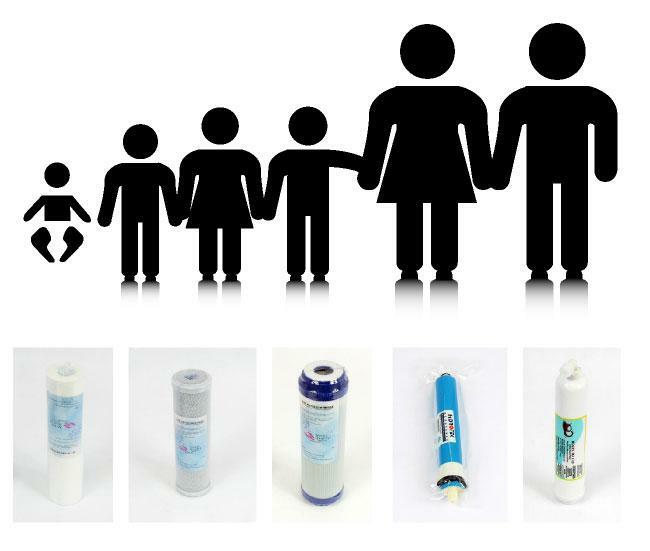 You will receive one spun filter every 3 months, one carbon filter every 6 months, and one R.O. filter every 12 months (beginning at month 12). Review the chart below to see the shipment schedule along with which filter replacements you will receive. Since this is an indefinite filter replacement plan that continues until cancellation for a large family (more than 4 persons), total price will depend on how long your plan lasts. We have provided a price per year figure for reference.